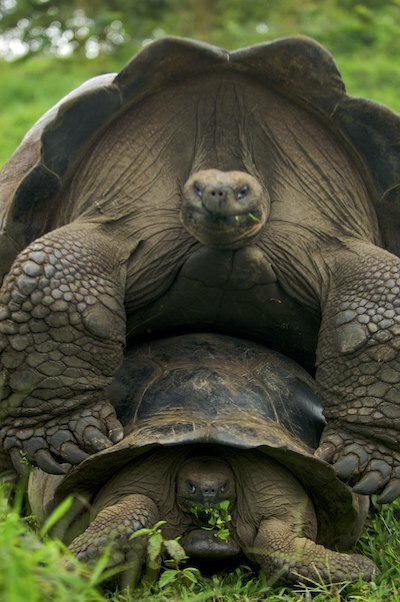 Giant Tortoise mating; certainly a heavy task... and unsuccessful. The female seemed very uninterested, and uncooperative. The male´s efforts went unrewarded.